School buses are nostalgic for many people. They’re the wild and wonderful social scene that bookmarks the school day. They’re iconic in shape and color, and they have a certain smell that takes former schoolchildren back. But they eventually become too old or outdated to carry kids safely. 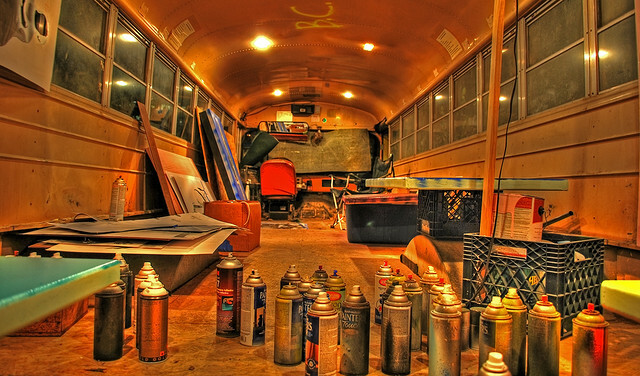 What happens to all those retired school buses? They’re the guest room out behind Grandpa’s house. They’re a more colorful element of the street food scene. They’re mobile houses for wanderers who don’t actually want to leave home. We picked out a few good ones, but there are many more. 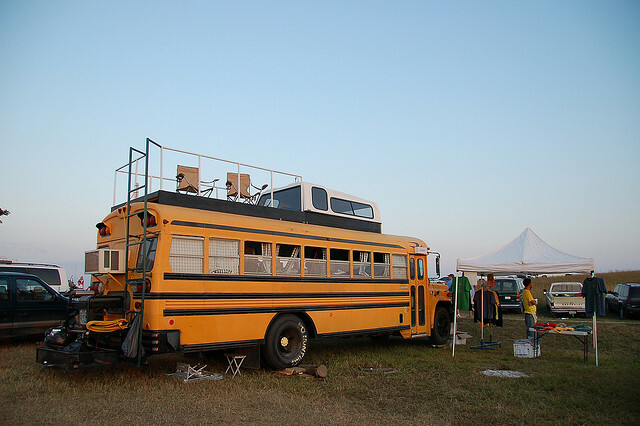 Let us know in the comments what you’d do with a retired school bus if you had one. 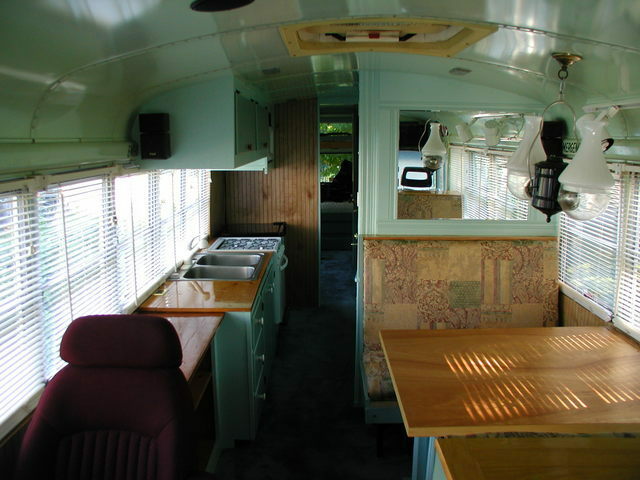 This 1978 school bus is heated by a wood stove. 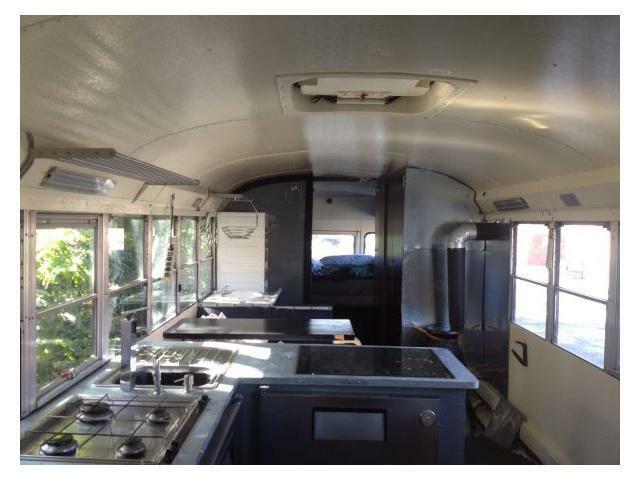 A school bus in Oregon serves grilled cheese. 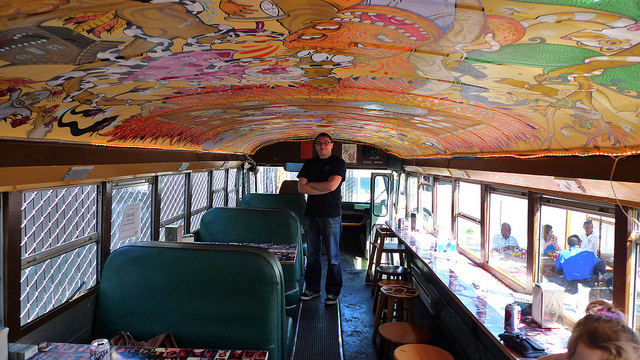 An artist used this bus as a temporary studio. 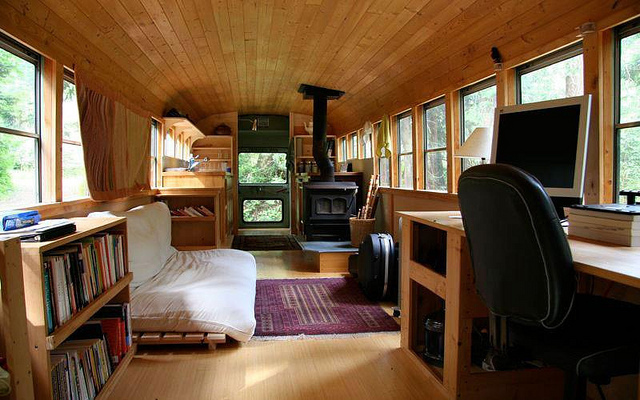 An architecture student made an amazingly efficient living space in an old school bus this past summer. Photo Courtesy of Flickr user Manuel W.
Why tailgate when you can roof deck? 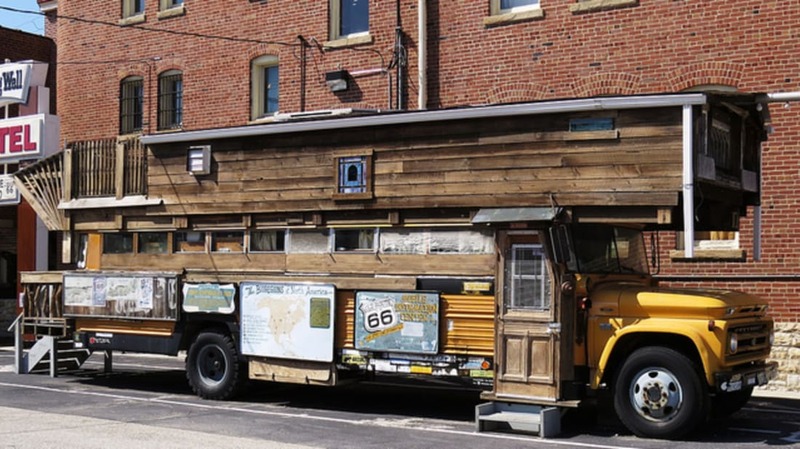 This school bus from Dallas has a loft made out of cedar. 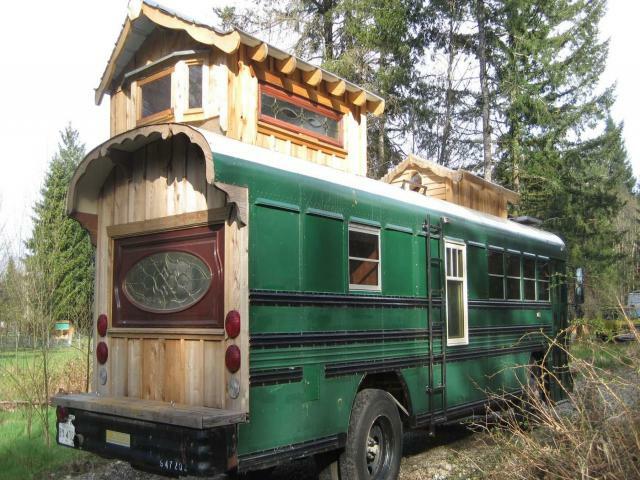 A Victorian sensibility works well in this converted bus. The headline on this one says it’s veggie oil ready. Well, then! 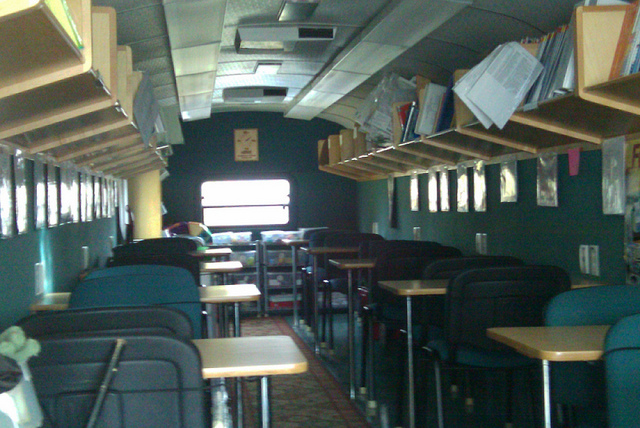 This school bus is now a mobile classroom for adult learners. 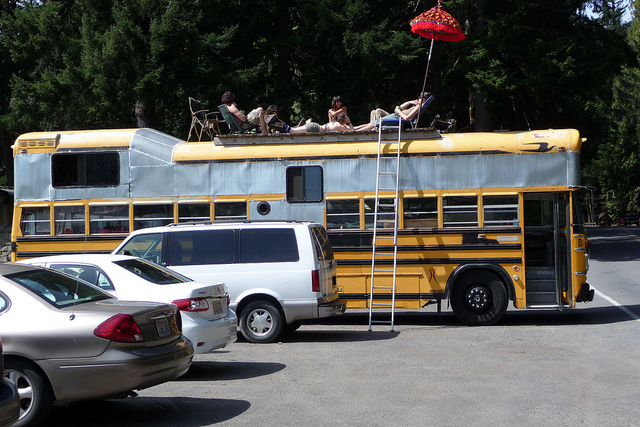 The owners of this bus can beat the heat with an air conditioner during the day, then hang out on the roof deck in the cool of the evening. 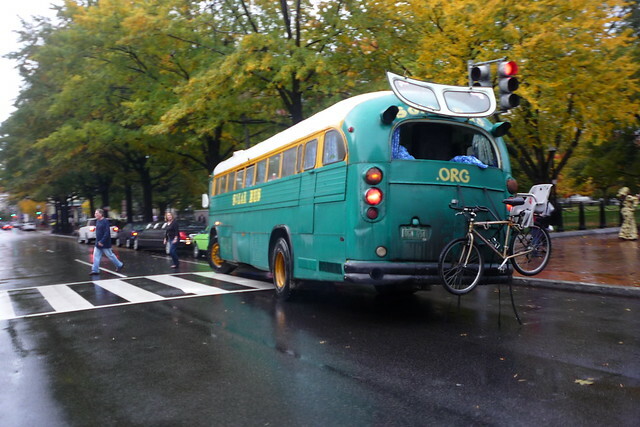 If you don’t want to drive a great behemoth of a bus, this one is barely bigger than an SUV. 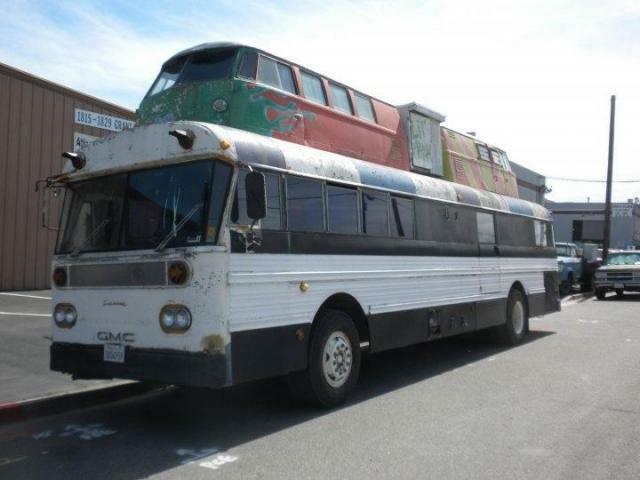 This bus carried California schoolchildren until 2003. Now it’s used to educate the public about renewable energy. 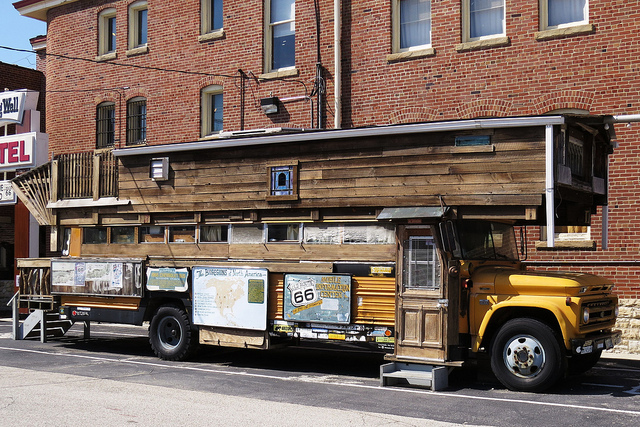 Bob Waldmire’s Road Yacht is now on display at the Route 66 Association’s Hall of Fame and Museum. 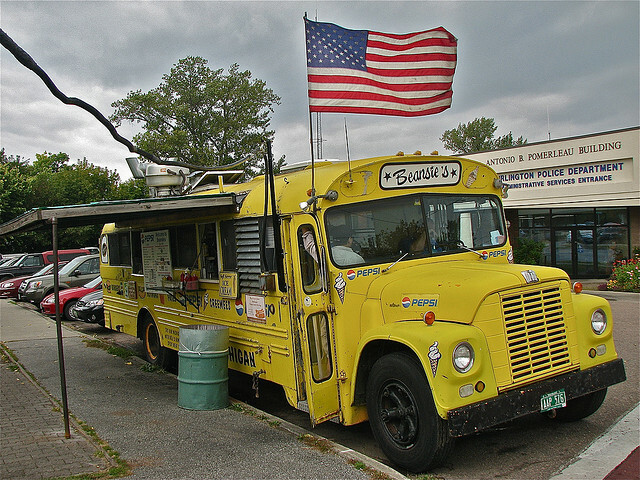 This school bus in Vermont has become a restaurant-on-wheels. If you can’t decide between a Volkswagen camper van and a school bus, why not stick a couple Volkswagens on top of the school bus?